SuBastian, scientists can now ? ll gaps in our understanding about the biogeography of these unique ecosystems and to identify possible new species thriving in this ex- treme deep-ocean environment. 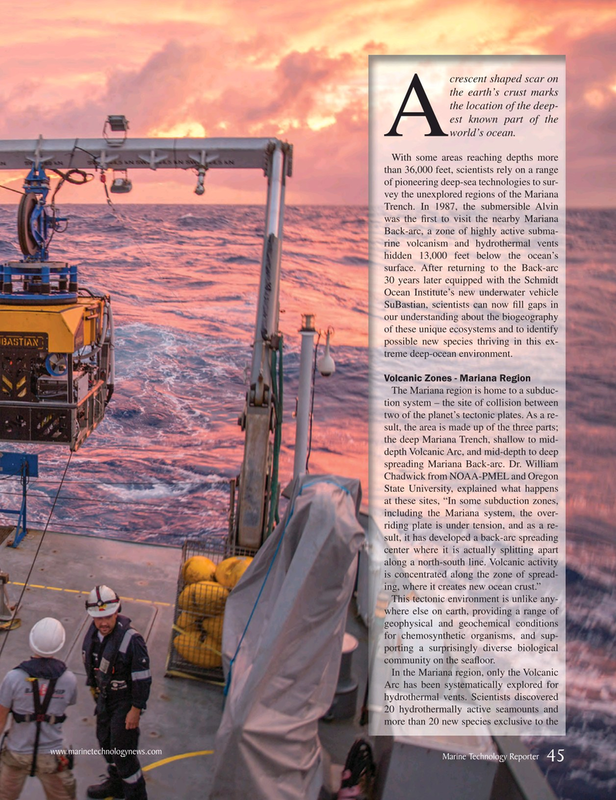 This tectonic environment is unlike any- where else on earth, providing a range of geophysical and geochemical conditions for chemosynthetic organisms, and sup- porting a surprisingly diverse biological community on the sea? oor.